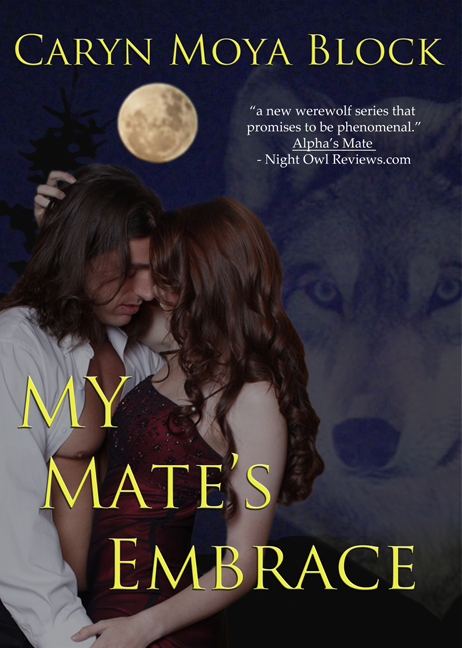 My Mate’s Embrace – Sneak Peek. My Mate’s Embrace will be available on Amazon October 2nd 2012. Here is a small snippet. Hope you enjoy it. The first raindrop hit Laurel in the eye. Within moments, the cloud-filled sky opened up, and a deluge of water soaked through her T-shirt and jeans. She shivered as the sky darkened even more, turning the summer evening into twilight. Wiping her eyes, she continued up the mountain trail to the scenic river overlook. The trees and wildflowers became a blur as she concentrated on where to put her feet on the wet path. Laurel glanced down at the Lena River in the canyon below. It rushed along as the wind picked up, blowing until the water churned and flew up into the air. Lightening flashed from cloud to cloud, and there was a large boom. Laurel gasped in fear, feeling shock waves of thunder roll over her. Culpeper Star-Exponent – Moon kissed passion. A Bealeton author recently accepted a 2012 Global eBook Award for her first self-published digital novel, a steamy paranormal romance involving a dashingly handsome wolf man and fiercely independent woman photographer with psychic ability. Caryn Moya Block, president of the Windmore Foundation for the Arts of Culpeper, earned the award Aug. 18 for “Alpha’s Mate,” the first in a series about a Siberian pack of werewolves prowling for passion. Married for more than three decades, Block, 52, spent her childhood in California before moving to Arizona during high school and college. She grew up reading the classic mysteries of Sir Arthur Conan Doyle and Agatha Christie before delving into fantasy fiction. As the wife of a U.S. Air Force servicemen, she lived in Hawaii and Germany prior to moving to Virginia. A former educator, Block has lived in Bealeton for six years and has two grown sons. She always loved to write and read, and dreamed about publishing her own book. When Block’s husband turned 50 a few years ago, the urgency to do so increased. “I started thinking about the things I wanted to accomplish in my life and this was a biggie I had left alone,” she said. Block, borrowing from her innate adoration for wolves, embarked on a two-year journey of education and research, taking classes on how to write an eBook and investigating the Siberian legend about a she-wolf who mates with a human male and gives birth to 10 half male, half wolf sons. One of these, Ashina, was supposedly the first Mongol Khan warrior, according to legend. Siberia seemed the natural setting for Block’s book. “I started thinking about where would you put a pack of werewolves in the world where no one could find them?” Block said. Enter leading man Dmitry Volkov of Moscow, Lycanthrope debonair in her award-winning first book. “In my world being a shape shifter is not a curse its just genetics,” said Block. “Alpha’s Mate” leading lady Violet Anderson, an American wildlife photographer who thrives on solitude, is not your average love interest as she is able to read minds. When Dmitry catches sight of her in a Russian nightclub, it is all he can do to restrain himself. And that’s the first chapter. Block said her novel, albeit racy, is tame compared to most of today’s romance books. But “Alpha’s Mate” has heat. The attraction for Violet mirrors that of the wolf man desiring her. 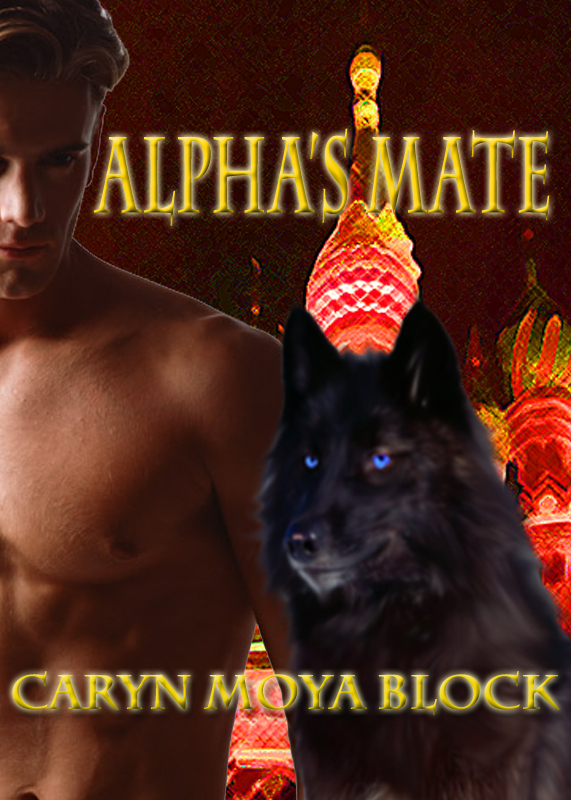 Thoroughly readable and naughtily entertaining, “Alpha’s Mate” stokes the flames of love. As for real-life marriage, Block believes long-term love is possible. She has already released a second digital book in the series, “A Siberian Werewolf in London.” A third book, “My Mate’s Embrace,” is due out this fall. For more information, check out carynmoyablock.com.